Savannah Heglund is going to have the best birthday ever -- she's spending a whole week at her family's mountain cabin with her two best friends, snowboarding and sledding and ice-skating the days away. But then all her plans go downhill, fast: On the very first day, Savvy takes a spill on her snowboard. Her perfect birthday is ruined . . . and worse, her friends seem to be having more fun without her. 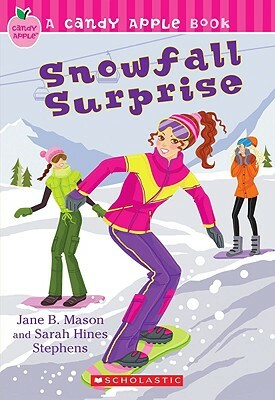 Savvy feels snowed in, but maybe the biggest surprise is yet to come!